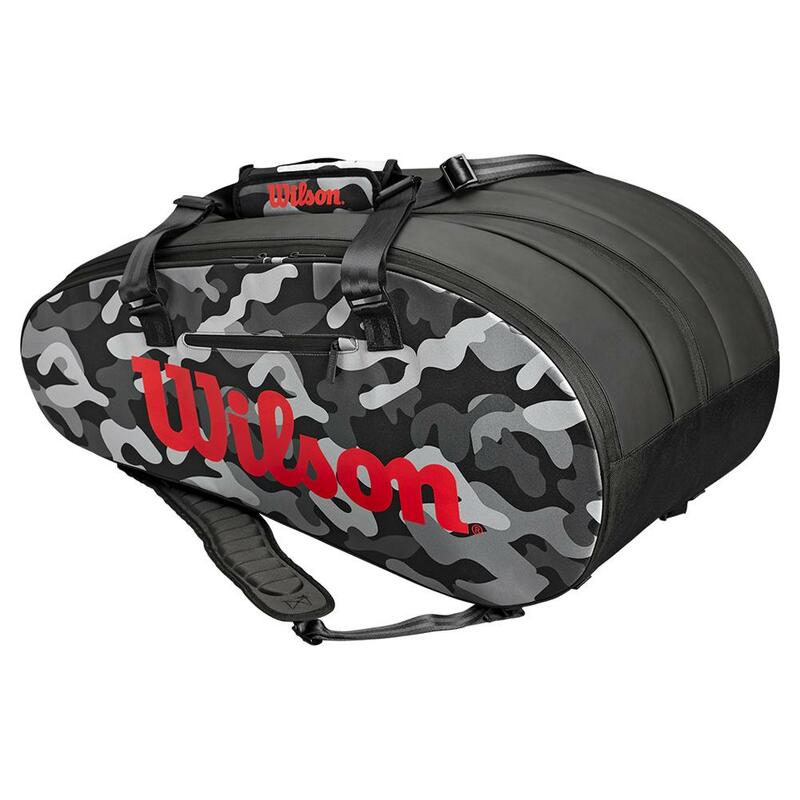 While crafted to blend in, the Wilson Super Tour 3 Compartment Camo Tennis Bag delivers a bold look that personifies cool both on and off the court. 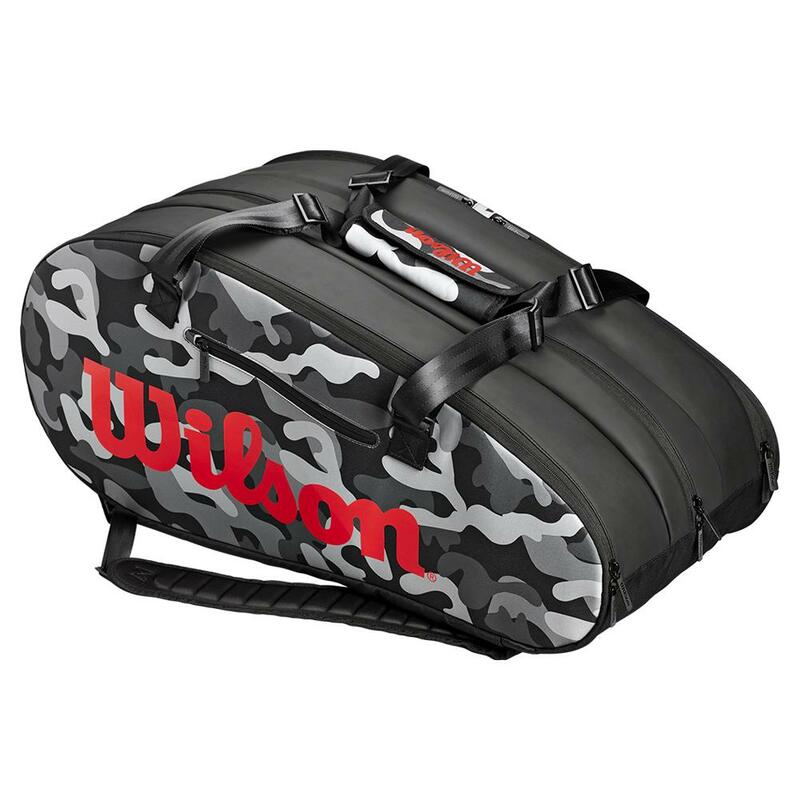 This bag holds up to 15 racquets and features a number of beneficial functionalities in addition to its sharp look. 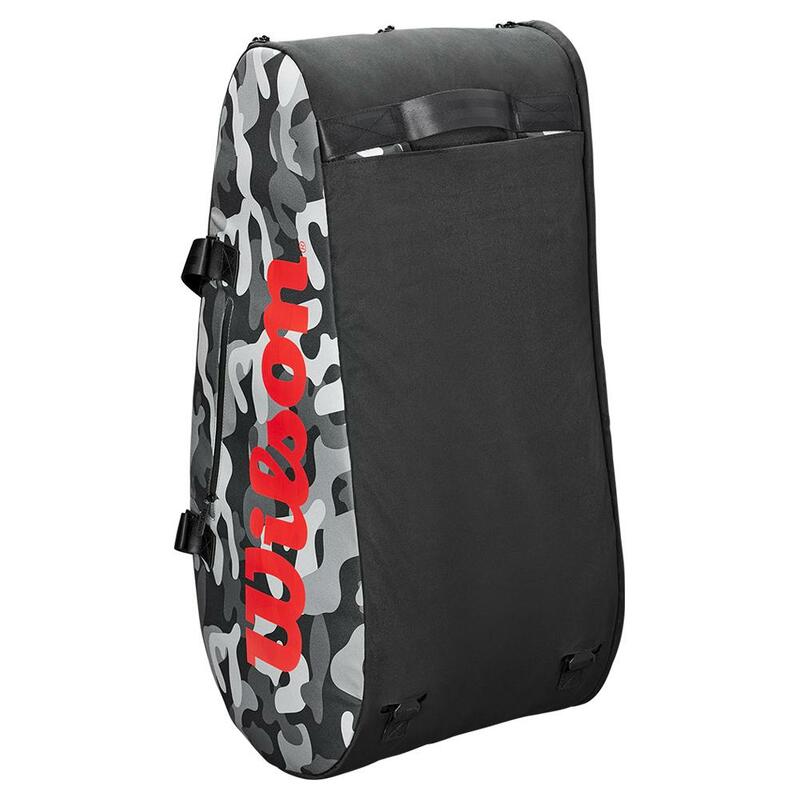 Your racquets will be protected by Wilson's Thermoguard technology (two main compartments) and has ample room for shoes, accessories, and valuables. 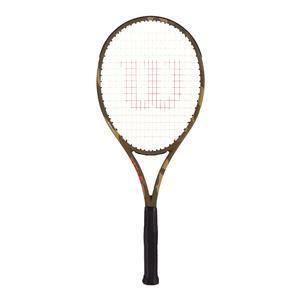 The central interior compartment features dual air vents as well as a removable interior divider great for keeping sweaty gear separate from other essentials. On the outside are 2 large accessory pockets and 2 smaller fleece-lined pockets for valuable storage. 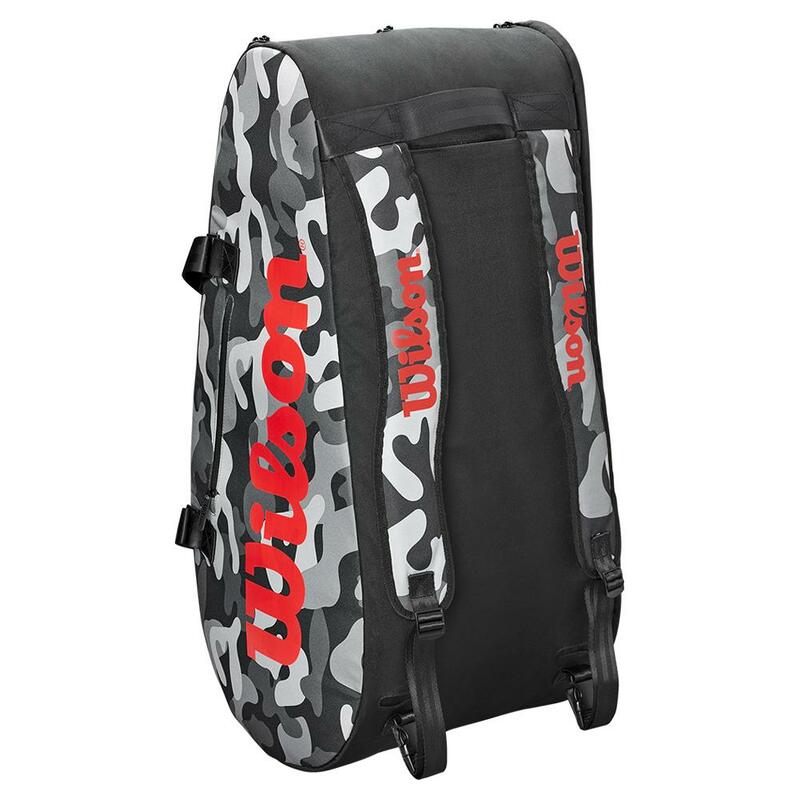 Additionally it comes with a dual carrying system with adjustable backpack straps and dual handles for easy transportation to the courts.